Welcome to QP Order Desk The QP Order Desk provides quick online typesetting, proofing and payment for business card orders. All orders require payment with a purchase card. The purchaser is responsible for ensuring that they are following the purchasing policies of their Department and those set by the Ministry of Finance. The Business Card templates for your organization have been pre-approved by the Queen’s Printer, according to the Government of British Columbia Corporate Identity Guidelines. Note: Tablets and smart phones are not supported at this time. Please use your desktop or laptop computer to place an order. 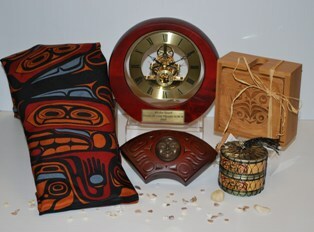 Browse items from B.C. artists and manufacturers, including jewellery, scarves, food items and recycled products.